Mary Snyder, DVM, was born and raised in Morganton, North Carolina. She attended North Carolina State University for her undergraduate work and graduated from North Carolina State College of Veterinary Medicine in 1987. She received her certification in Low Stress Handling in 2016. She regularly volunteers with Meals on Wheels in Durham County. The application of science through hands-on patient care drew Mary into the veterinary field. She enjoys the chance to interact with clients, their pets, and their families. Mary’s hobbies include cycling, walking, pilates, and reading- especially mystery novels. She currently lives with her husband Tommy in Chapel Hill. Carly Stephens, DVM, was born and raised in Northern Virginia. She attended Virginia Tech for her undergraduate studies and graduated from North Carolina State College of Veterinary Medicine in 2017. Carly completed part of her studies abroad in Ecuador, enabling her to become proficient at communications in Spanish. Additionally, she has attained specialized training in avian and exotic animal care as well as Fear Free certification. Her volunteer experience includes work with the Christian Veterinary Mission. Carly developed a deep-rooted love of all animals at a very young age. Her areas of interest include geriatric care, holistic care and treatments especially related to animal behavior issues, surgery, and exotic animal medicine. Outside of work, Carly enjoys running, hiking, and rock climbing. She currently resides in Chapel Hill with her snuggly pit bull Chloe and her three-legged bearded dragon Dyna. Sheri Randell, DVM, was born in Illinois and grew up in North Carolina. 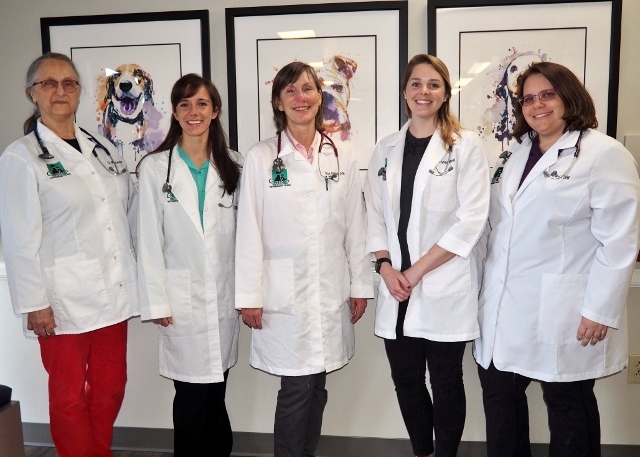 She attended the University of North Carolina at Chapel Hill for her undergraduate work and graduated from North Carolina State College of Veterinary Medicine in 1987. She is also a graduate of the Veterinary Management Institute. 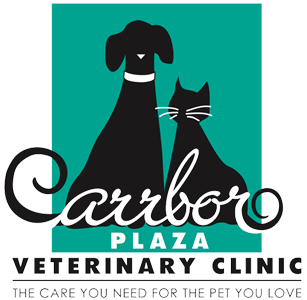 Dr. Randell opened Carrboro Plaza Veterinary Clinic in 1990 as a small one doctor practice in Carrboro Plaza. Her volunteer work includes mission trips with the Christian Veterinary Mission to aid the animals of the Pine Ridge Reservation in South Dakota. Sheri enjoys all aspects of companion animal medicine and is committed to the continual improvement of care for our much loved patients and their devoted owners. In her free time, Sheri enjoys hiking, reading, and traveling. She currently resides in Orange County with her husband Guy, two dogs Jack and Elle, and her cat Duckie. Alyssa Wheat, DVM, was born in Manchester New Hampshire and grew up in Hollis New Hampshire. She attended the University of Vermont for her undergraduate work and went on to the Cummings School of Veterinary Medicine at Tufts University where she graduated in 2015. Alyssa has always enjoyed working with animals and is dedicated to helping them live healthy and happy lives. Her areas of interest include surgery, ophthalmology, and cytology. When not caring for animals, Alyssa enjoys crafting, cooking, hiking, and kayaking. She is currently living in Carrboro and adjusting to life in the South with her husband Greg and her two cats Willow and Flynn. Jenny Marin, DVM, cVMA, was born in Sunnyvale, California but grew up in Chapel Hill, North Carolina. She attended the University of North Carolina at Chapel Hill for her undergraduate work and graduated from North Carolina State College of Veterinary Medicine in 2004. She completed her certification in Veterinary Medical Acupuncture in 2015 through the One Health SIM program in Colorado. 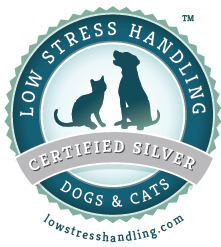 She received her Low Stress Handling certification in 2016. Jenny enjoys helping people and their pets through preventative care and education. She has a special interest in low stress handling techniques, and strives to make veterinary visits enjoyable for both patients and clients. Other areas of interest include acupuncture, pain management, internal medicine, and dentistry. In her free time, Jenny enjoys playing tennis, quilting, photography, hiking, and working on her house. She currently lives with her dogs Fonzie and Gidget in Chapel Hill. If you would like to see a specific doctor, please ask for availability when scheduling.